In this video, I am demonstrating a foam windscreen that helps eliminate wind noise when filming with your GoPro. 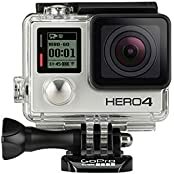 It is compatible with the Hero 5 Black, Hero 6 Black, Hero 7 Black, and the Hero 2018 model. This low-cost windscreen is an essential part of every GoPro kit. Perfect for moto vlogging or filming outdoors on windy days. We include a demonstration of this windscreen in this video to show you how effective it is.